While most of North America is looking to decide or book where they will be for the coming full solar eclipse, there are also going to be some fascinating night time shows for the first half of August. 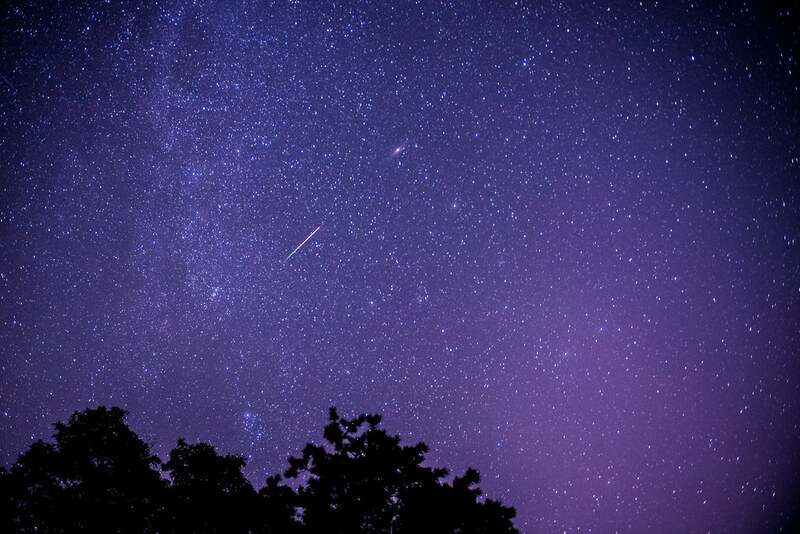 Two major meteor showers are going to be happening at the same time, and the night time sky will be lit up this month by both the Perseid and the Delta Aquarid showers. Although they began in separate weeks and have different peaks, they will also cross each other on the night sky. This will happen on the mornings of August 12 and August 13. The Perseid shower is an annual event as our planet passes through the debris rich area on the trail of the Swift-Tuttle comet. This rain of meteors began on July 17th as predicted, and will continue through August 24. Its peak, however, is likely to be on August 12, with the meteor rate rising to almost 100 streaks per hour across the sky. Peak activity will also be registered in the mornings of August 11 and August 13. The Delta Aquarid is another periodic shower, though it is shorter and less impressive because of its more reduced numbers. It began in the last week of July and will continue until August 13. So these two showers will coincide later this month with quite a show. Combined, they are expected to reach over 150 meteors per hour at peak. The best night for those hoping to see these “shooting stars” will be the overnight hours on August 11 and 12. There is only one problem, as the moon will be near full those nights as well. This will probably screen out many of the smaller meteors with its light. It could reduce the number of noticeable meteors, but the ones that are bright enough to stand out should be spectacular.